Architecture office Carlo Ratti Associati has proposed a floating plaza that uses submarine technology for West Palm Beach’s Currie Park in Florida. 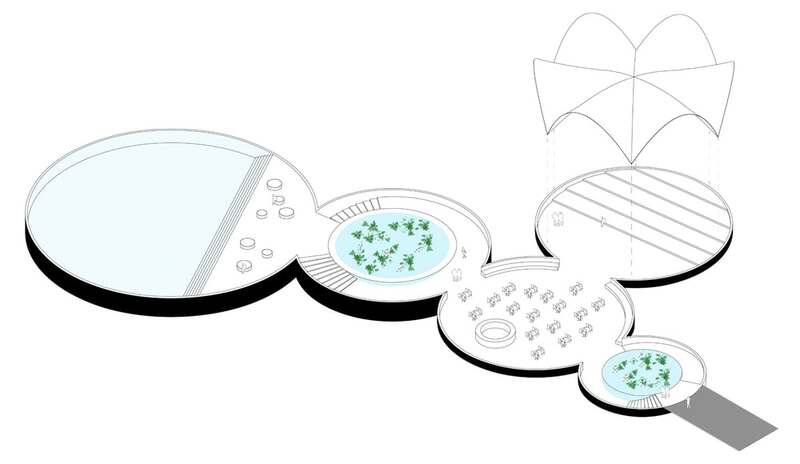 The project, once completed, would include an organic restaurant with its own hydroponic cultivations, a pool and an auditorium. The project is part of a master redevelopment plan for Currie Park, where the on-land facilities will connect to the floating plaza via a leafy pathway. The parking lot to the north of Currie Park will also be replaced by a gently sloping hill that will provide pedestrians access to the area and offer views of Palm Beach and the ocean beyond it. 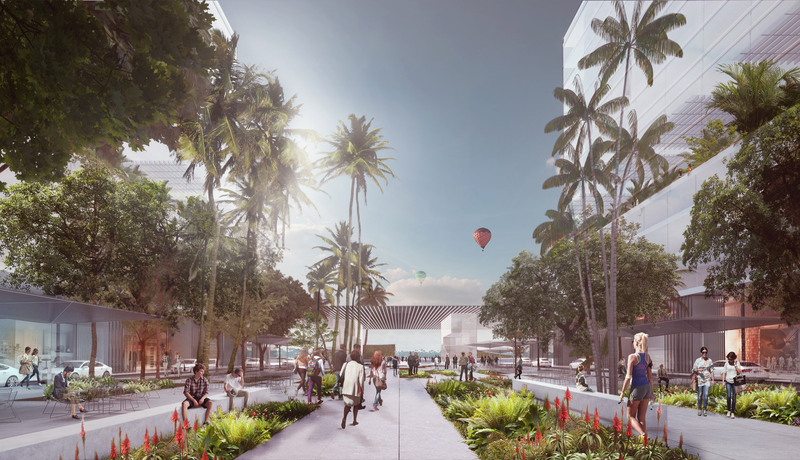 “With this project, we aim to reclaim West Palm Beach’s connection to the natural elements that surround it, and give shape to a vibrant new district that will serve as a creative catalyst for the entire city. 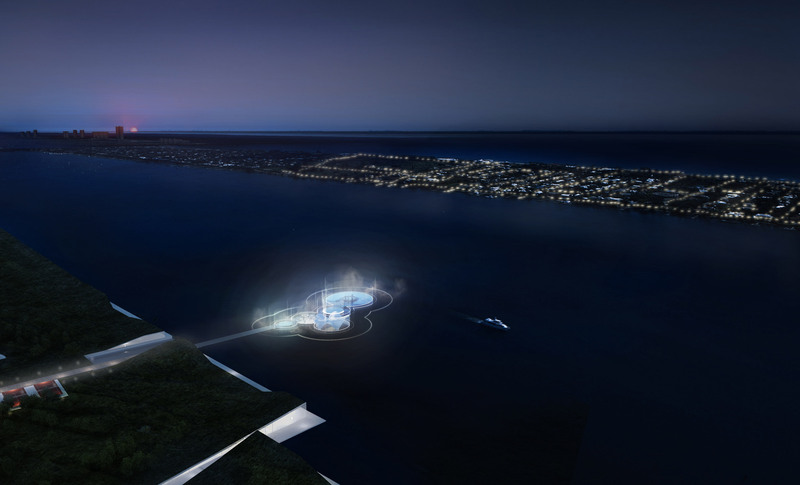 The project also showcases how a new technology allows us to radically redefine the relationship between architecture and water,” says Ratti. West Palm Beach construction is set to begin next month and is expected to be completed by 2018.